Jim Magner draws you deep into his conflicting worlds, artist and soldier, with crisp writing and a look at combat that fascinates, elates, and, at times, stuns. For the young lieutenant, Nam was where the action was—the ultimate test. For the passionate artist, war was destruction and death. Dramatic and poignant, often funny, and sometimes sad, A Haunting Beauty is a riveting, highly original memoir. Never before has there been a first person account of combat through the eyes of an artist. Combat has never been so vividly portrayed through two distinct identities. 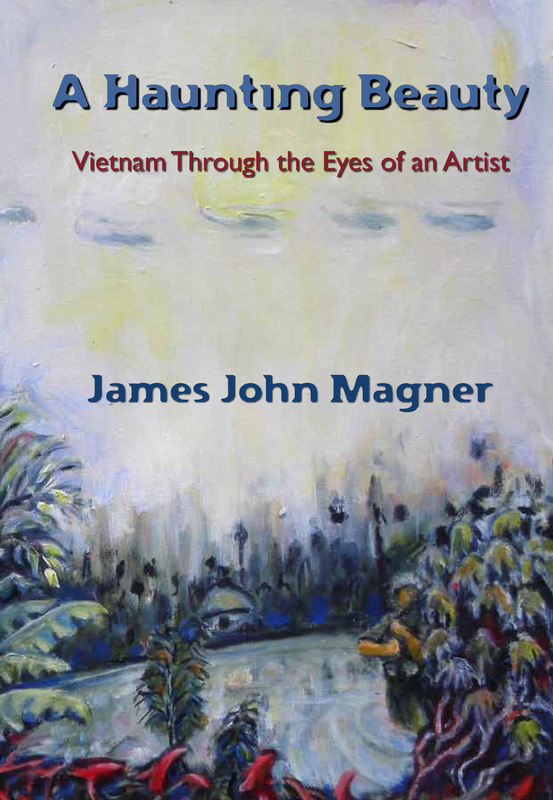 A decorated Vietnam vet, Jim Magner is a painter with works in private, corporate, and government collections. He has been the author of a popular art column, “Art and the City,” for a Capitol Hill, DC paper since 2002. He has been a legislative assistant to a US senator, a government relations consultant, and a teacher. He has won numerous national awards for both painting and creative writing, including a gold medal for his painting “Children in Vietnam” in the Veterans Administration’s annual Creative Arts Festival.